Don't Miss Hillel O'Leary's Show at the Zoller Gallery! Wurk's Member, Hillel O'Leary's show is up at the Zoller Gallery at the Penn State School of Visual Arts. The show, titled NONAGON, is the 1st-Year Penn State School of Visual Arts MFA show. His piece, entitled Tapestry, is a site-specific installation. 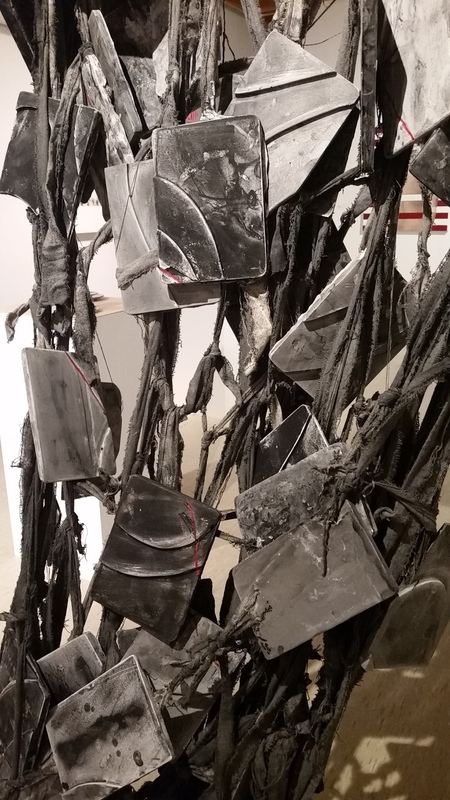 The piece, made of cast plaster embedded with canvas fiber & ink pigment speaks to memory embedded in landscape, after-image and connection. The show opened on February 8th and will be up for two weeks.